It gives students the chance to learn from their peers. It allows really hardworking students to show off their hard work. The public display of work really acts as a kick up the backside for the odd student who has done nothing. Once all the work is set out I give the class about 20 minutes to walk around ( music playing in the background ) and admire their peers work. I then ask each student to pick out the things they liked best. This is followed up with each student coming up with one thing they are going to try as a result of what they have seen. Finally, I give each student a chocolate ( often raided from my kid’s sweetie jar ) and ask them to place it on the piece of work they particularly like. Without the carrot of January modules it is sometimes hard to get students working consistently throughout the year. I have found these Revision Showcases a really useful exercise as a way of helping students to focus and encourages my students to really take charge of their learning. Zaheer has been running Revision Showcases with his Law classes and as you can see from the following tweet he seems happy with the results. 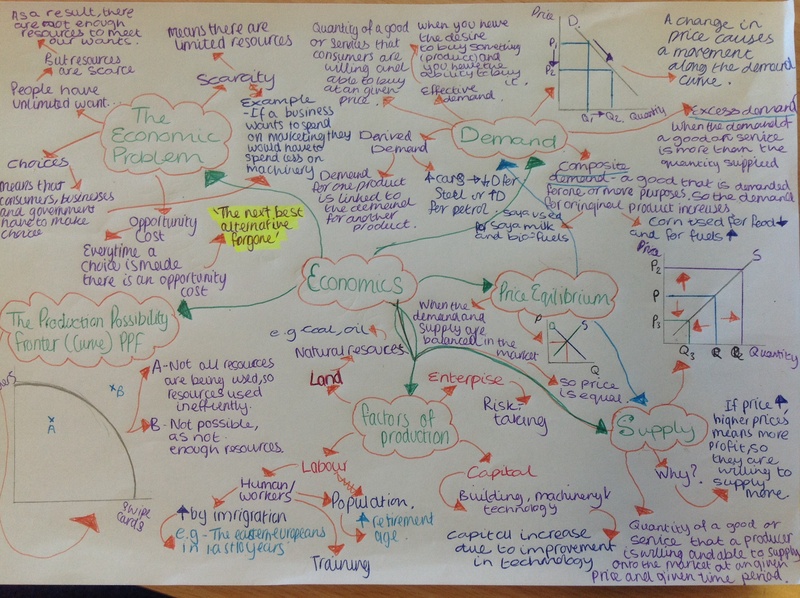 Well done to the AS groups today for presenting some excellent revision resources. I was impressed. A special well done to group C.